Check with your local Congressman or Senator. I'm not absolutely certain but I do believe that Alzheimer's is covered as a preexisting condition in the ACA. You might have to fight with your insurance company. But it is worth the look. The Church is true, and obsessing about it does no one any good. My husband has accused me of acting like my mom when she was showing signs. He has even said I have it, especially when I'm obsessed with finding out if the church is true after my faith crisis. No, not right now. I'm glad you found the help you needed. That would be so difficult, your situation. I don't know if it would do me any good but maybe. I thought about getting tested and then getting on something like Aricept if I do have it. My cousin was diagnosed recently with it and she's only 60, I'm 50 so in my mind I have 10 yrs. left. But someone told me never to do that or I wouldn't be able to qualify for Long Term insurance. I kinda doubt it's true. Plus that insurance is so darn expensive. I've thought to myself and I wish I were kidding, that I'll go sky diving when my memory is bad and forget to open the shoot. Very serious about this especially after witnessing my mother go through hell for 10 yrs. An interesting thought is that I may have it now and that's my excuse for my disbelief. I'm just going a little crazy is all. My husband has accused me of acting like my mom when she was showing signs. He has even said I have it, especially when I'm obsessed with finding out if the church is true after my faith crisis. Not knowing what was wrong with me was worse than the actual disorder. Once I figured it out, life got a lot better even knowing that the disorder is progressive and things are unlikely to get better unless there is a medical miracle that occurs. You might want to consider other issues might be involved for you that are common for women of our age (I am 54 this year). Boredom is a huge one for those of us who have been tied into taking care of our kids so much, with their independence they don't need us thinking about them 24/7 anymore. We may not even know we are bored, but we are lacking the mental, emotional and physical stimulation that we've gotten in the past and our bodies and brains notice the difference even if we are unaware of it and thus we start to seek out more stimulating environments. Boredom/lack of stimulation can actually cause physical and mental symptoms. Hormonal changes can cause memory and concentration issues (as well as the mood swings many of us are too familiar with) as well so you may want to get tested for that. This is also a time in many women's lives where they start wondering what they are going to be doing the rest of their life to make it meaningful and interesting as well as looking back wondering if they've accomplished anything (so many women having to sacrifice public accomplishments because their children need their attention). It is not a bad thing to question ourselves and our lives in depth from time to time. We just need to make sure we don't get stuck in the rut of questioning and not doing something about it if only because that would be so frustrating year after year to endure. The incidence of autism and food allergies has increased along with the increase in the earth's population; therefore, it's the increase in population that is the culprit. And here I thought that correlation did not equal causation. It is the increase in the rate that is the puzzle. Is it an artifact of the studies, closer diagnosis, or some other unknown factor? What is clear though it isn't just because of the increase in population. Apparently the sarcasm button is off. "Today, it is estimated that 20% of American children have allergies. and the male/female ratio for asthma is 3:1." It is in light of such studies as these as the words given in Section 89 take on more meaning: "4 Behold, verily, thus saith the Lord unto you: In consequence of evils and designs which do and will exist in the hearts of conspiring men in the last days, I have warned you, and forewarn you, by giving unto you this word of wisdom by revelation—"
I point this out not to speak one way or the other on genetically modified foods but to point out that we all need to be watchful of what we ingest and use wisdom and revelation for our own personal needs because there may be harmful substances which are used to enhance flavor but can have harmful effects. I've known one or two people in my life who have what we call cast iron stomachs in that they can eat anything and it won't have a negative effect. On the other hand I have to watch not only what I eat but how much and at what time of day because my digestive system is so sensitive that I never know how a food will affect me even if it hasn't previously. I personally try to avoid anything that is genetically modified because I think just the connotation of a genetic modification is scary. Maybe I've seen too many sci-fi movies. I also try to eat organic where it is easily available, not because it might be more nutritionally valuable but because of the pesticides and artificial hormones that might be added. However I'm not at all fanatical about this and will eat what is affordable and available. I do know that there are many food allergies in kids now that we never heard of previously. I have a granddaughter who cannot have anything with a specific red dye. Her parents have experimented with it enough to know that it is an actual problem for her but her siblings have no problem with it. That is why it is a word of wisdom, which means use judgement and know your own body and what it can and can't tolerate and don't abuse it. It does not but it does point and mouth "look over there" while winking at you. I personally think it has less to do with pesticides and genetic modifications and the like and more that people just eat horribly and do not exercise enough. I personally try to avoid anything that is genetically modified because I think just the connotation of a genetic modification is scary. Nature has been genetically modifying plants and animals for thousands of years. Humans have been doing it for almost as long. It's nothing new; we've only gotten much better at it. True but misleading. Nature never put BT into plants, and there is growing evidence that it isn't good for people to eat it. Plus because of the over use of Roundup we're developing classes of superweeds that are immune to the stuff. "French scientists have revealed that rats fed on Monsanto’s Genetically Modified corn suffered tumors and other damage including kidney and liver damage. “The reason for that is quite obvious since Monsanto’s GMO corn has been genetically modified to grow the herbicide (RoundUp) directly inside the crop.”"
However fond I am of news sources with the word "Galactic" in their name, that study has serious problems. 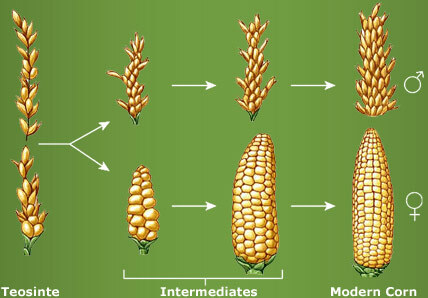 The problem being that given the design of the experiment, the number of rats used and then the way the information has been presented to us we simply do now know, and cannot work out, whether this is a result of the effects of GM corn, Roundup or pure blind chance. "The value of current independent studies is considered by some to be problematic because, due to restrictive end-user agreements, independent researchers cannot obtain GM plants to study. ... "as a result of restrictive access, no truly independent research can be legally conducted on many critical questions regarding the technology". ..."
I think the GM papers follow poor design and reporting, and are a good example of why independent studies are needed to reproduce all results before anything is accepted as being reliable. True but misleading. Nature never put BT into plants, and there is growing evidence that it isn't good for people to eat it. A wide variety of reputable organizations have stated that genetically modified foods are safe to eat, including the US National Academies of Sciences, the American Association for the Advancement of Science, the European Commission, and many more. After years of cultivation, there seem to be no adverse health impacts associated specifically with them, and in some cases they can confer significant health benefits. It is true that if you eat a well balanced diet from a variety of sources there isn't much nutritionally different between organic and non-organic foods. However anyone whom has tasted a good vine ripened heirloom tomato from their own garden after eating those 90 mile per hour wonders found in the local mega mart sure knows the difference. With an ever increasing global population, massive 3rd world hunger, and with an estimation that a child dies for every two seconds world wide from starvation, there is a great promise in the use of genetic engineering technology to benefit not only the farmers, but also societies worldwide. What we normally refer to as organic simply means grown without the use of man made chemicals such as herbicides, pesticides, and non naturally occurring fertilizers.